RAYMOND LEE is the founder and Director of Emerge Consulting, with over 17 years of management consulting experience. He is also a sought-after speaker in the areas of strategy, customer experience, and change management, having addressed crowds from 50 to 1000. He was formerly an Associate Director in Ernst & Young Associates. Before that, he was a Manager in the Strategy, Organisation, and People Team in Arthur Andersen Business Consulting. Emerge Consulting today operates in Singapore, Shanghai, Suzhou, and Beijing. In his years of management consulting, he has dedicated himself to helping businesses all over Asia build great customer experiences. His clients hail from a broad spectrum of industries, including security, building and construction, air travel, retail, financial services, automobile, and pharmaceutical. 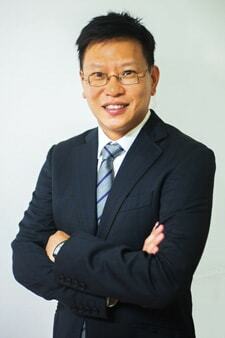 Changi Airport Group (CAG), Ascendas, Mercedes Benz China Limited, Volkswagen Import Group China, and Wildlife Reserves Singapore are among the many clients that he has worked with. His areas of management consulting experience include strategy, corporatisation/ privatisation, change enablement, organisation development and service transformation. The breadth and depth of insights he has been exposed to during his years of consulting are immense, and he is convicted of the need to share these. They have culminated into this book on the eight obsessions of customer experience, which he has observed great organisations to be fixated on.